We are ending off the week with so much sweetness! 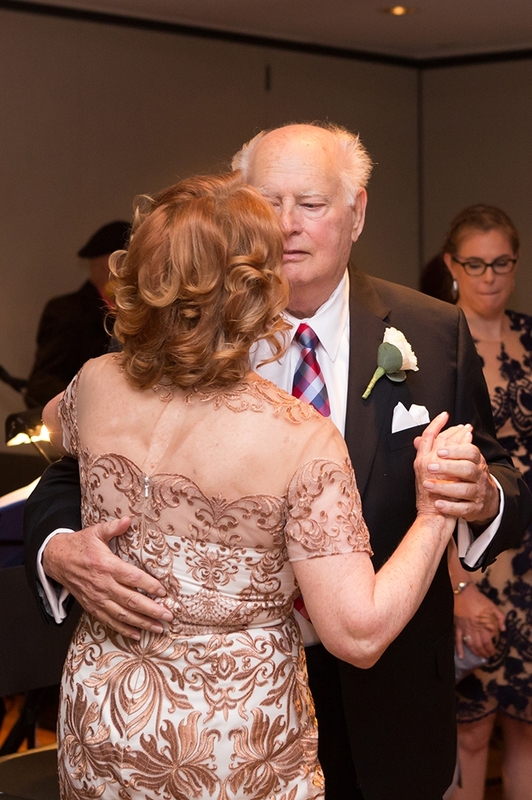 A 50th wedding anniversary! 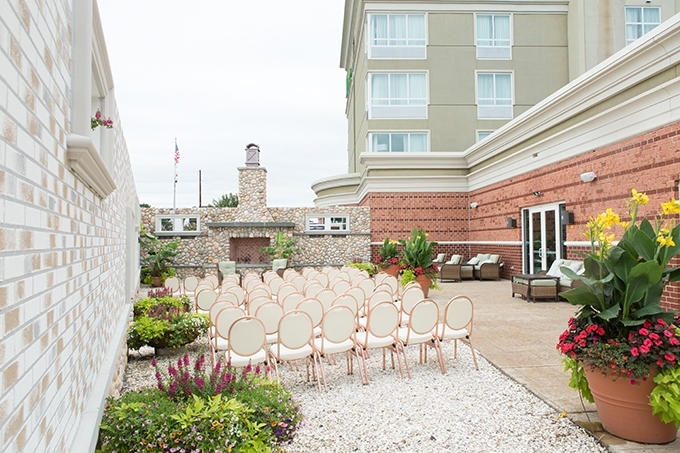 This New Jersey couple chose a romantic vow renewal and celebration with family and friends planned by Bogath Weddings and Events captured by Heather Palecek Photography. 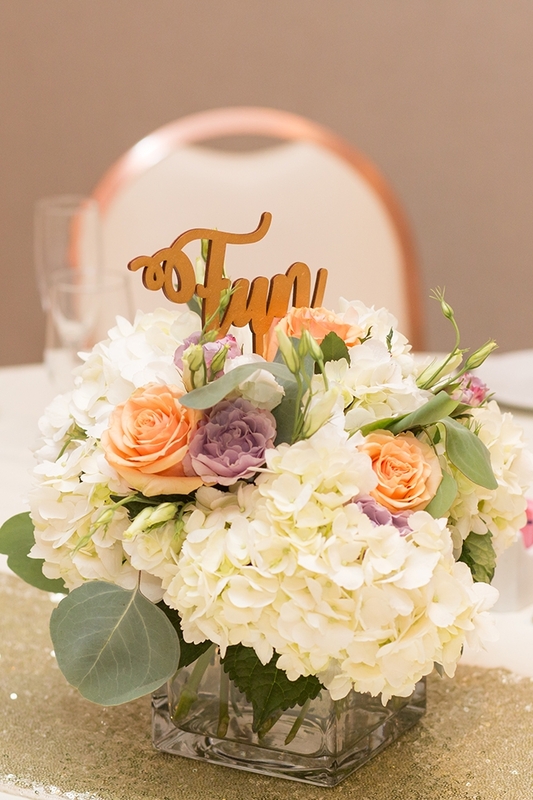 We just love all their charming details, like the ingredients to marriage table names and the heirloom toasting cup! 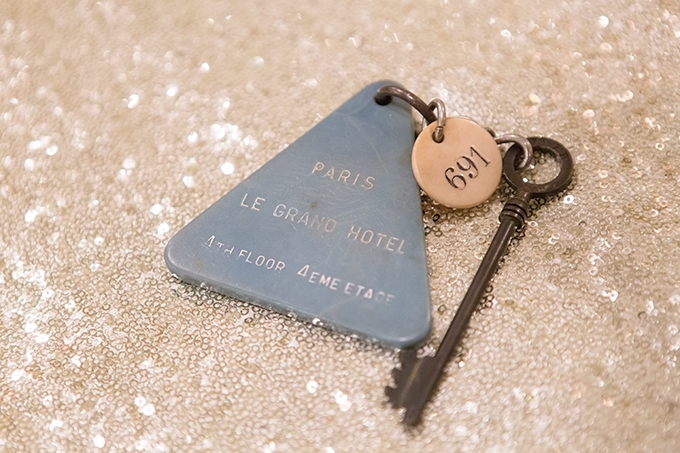 They even still had their key from their honeymoon suite in Paris! 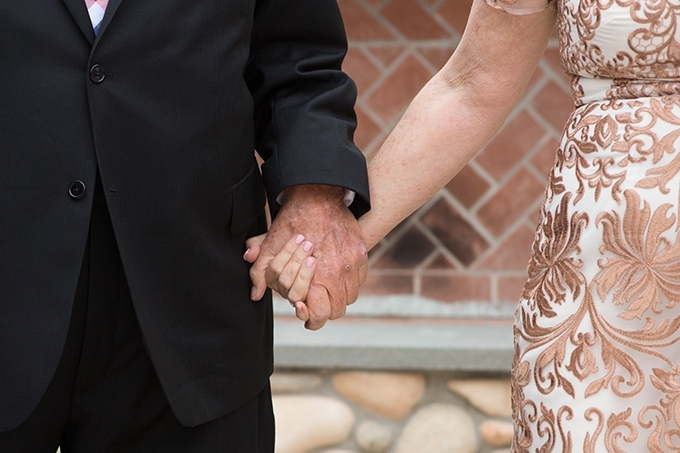 Ginny and Richard met in the mid 1960s while working in a NJ courtroom. They quickly decided to go on a date. Ginny convinced her father to lend her the car, and she drove to meet Richard. After a night sitting and talking, at the bus stop because they had no money to buy dinner, Ginny returned the car to her father with an empty tank. On their second date, they remembered to fill the tank back up. It did not take long to recognize that it was the real thing. 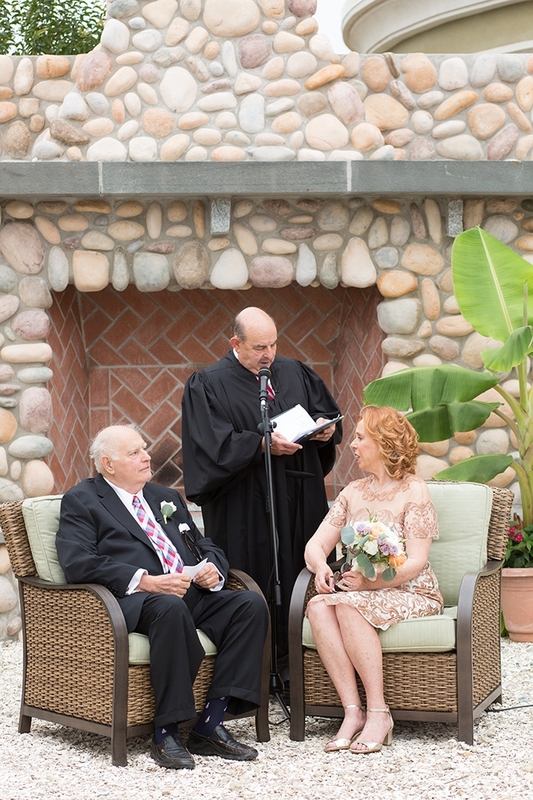 We chose to renew our on Long Beach Island because that is where our family has been spending summers for vows generations. 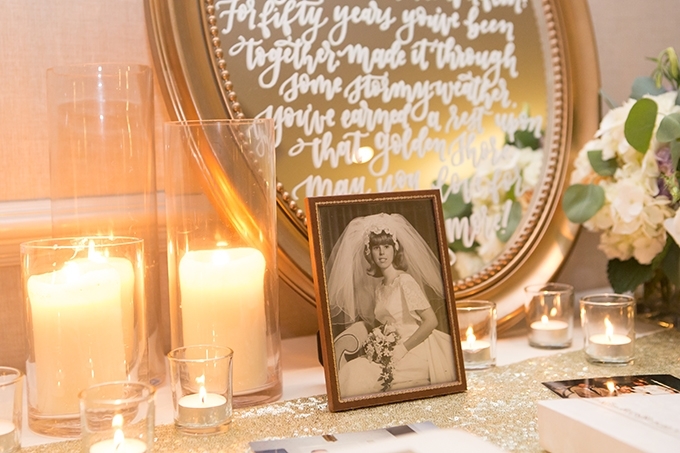 We envisioned a small celebration, with 60 of our nearest and dearest friends and family. But the true goal was to celebrate in a way that our children, and especially our grandchildren, would remember for the rest of their lives. We chose to name each table instead of numbering them. And the names we chose were the “ingredients” we felt made our marriage successful over the years: faith, friendship, laughter, love, etc. 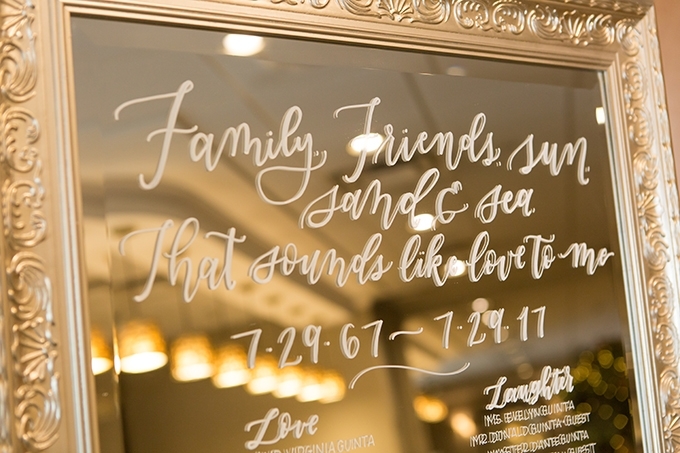 The hand-lettered mirrors with signage and a seating chart pulled the entire event together in a way that was just so much fun! 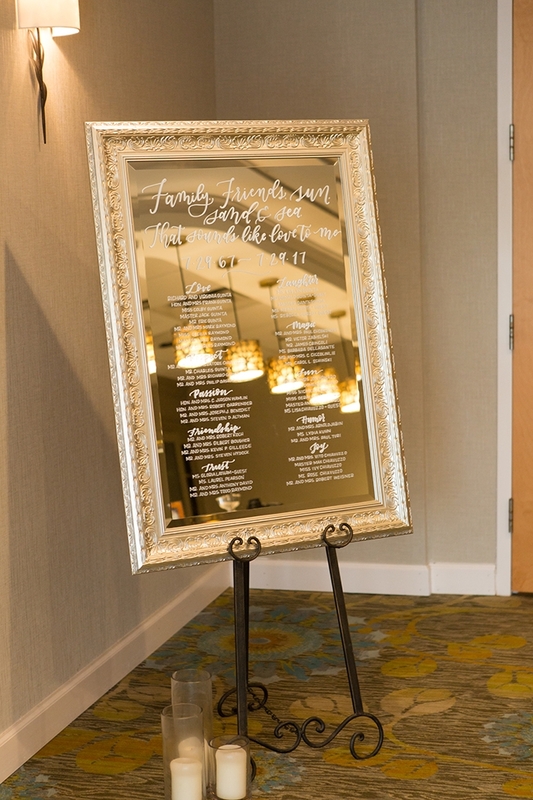 We were so happy with the hand-lettered mirrors created by The Shaded Maple. 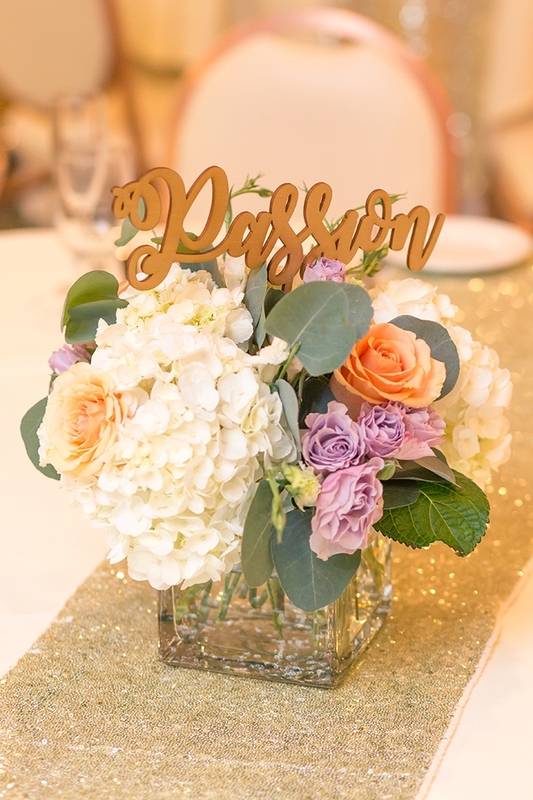 Our wedding planner, Bogath Weddings and Events, found the mirrors at different thrift shops and painted them all gold. 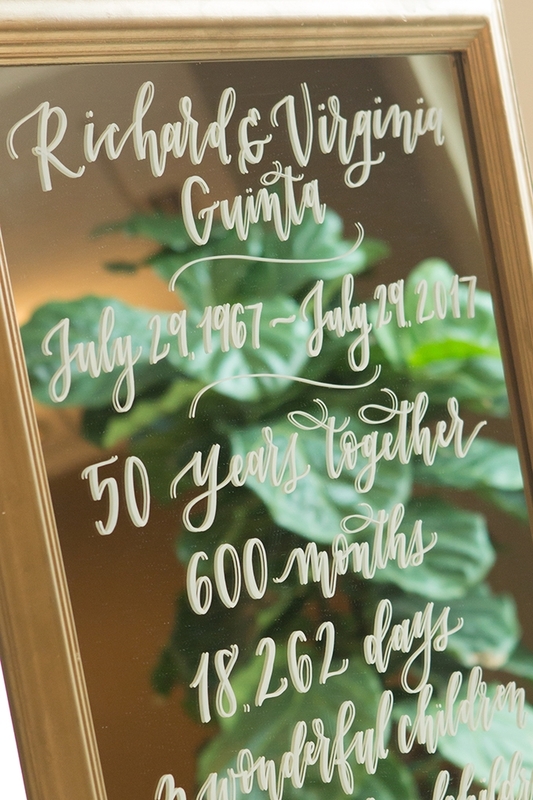 The Shaded Maple hand-lettered them with quotes and “fun facts” about how long 50 years really is. 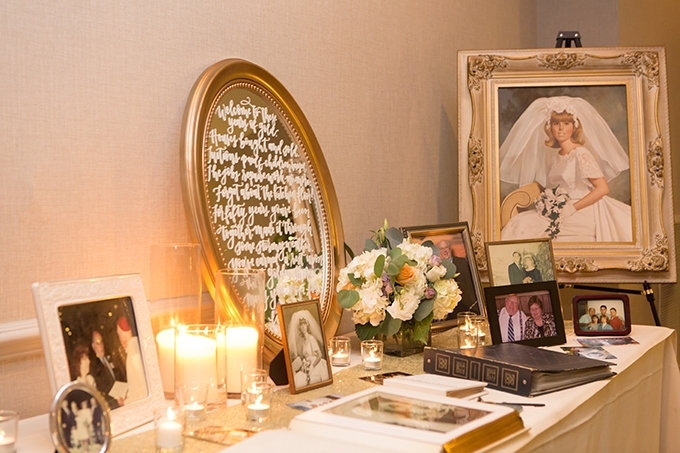 One of my favorite spaces in the event was our memory table. 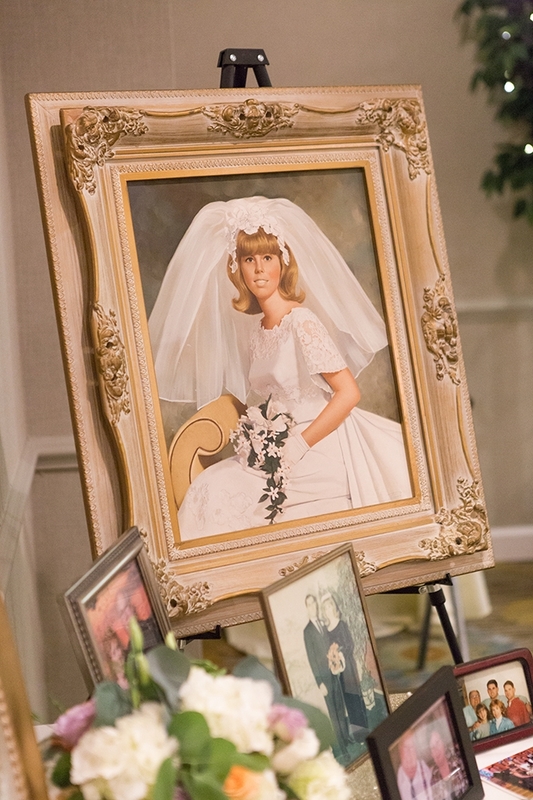 Filled with family photos, our wedding album, and my painted bridal portrait (something not done much these days). And our memory table featured the key to our honeymoon suite in Paris. They don’t make the like that anymore! 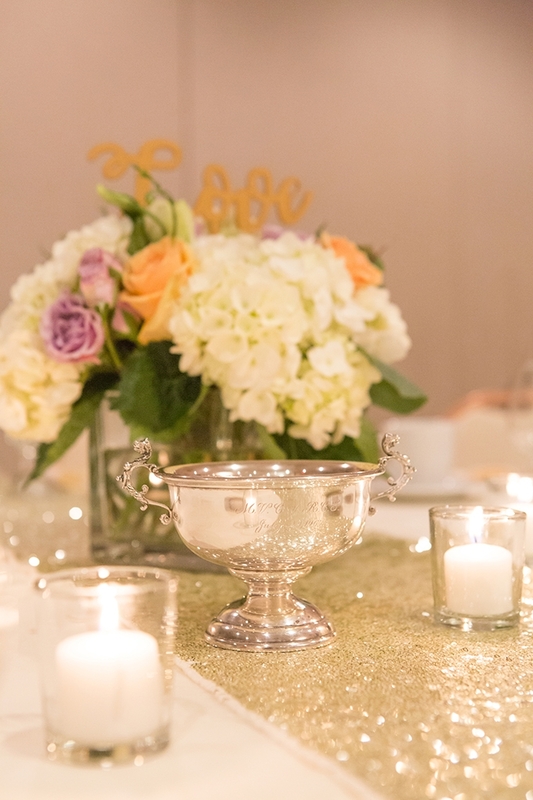 We have a family tradition of drinking a toast at every wedding from a special silver cup. We used at our anniversary the same toasting cup we used at our wedding. It was also used at the weddings of our children. Thank you so much for your fabulous feature! Congratulations to everyone involved, especially the happy couple!